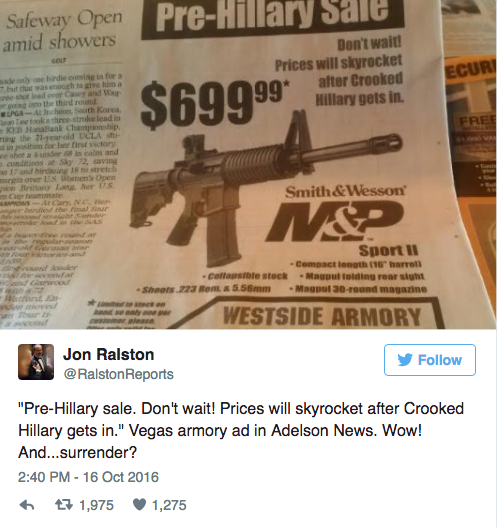 It is well known that Clinton is against the Second Amendment and plans to limit the Second Amendment if elected President. Recently released undercover video footage shows Clinton plans to use executive orders to whittle away at a citizen’s Second Amendment rights while simultaneously attacking gun manufacturers and distributors. 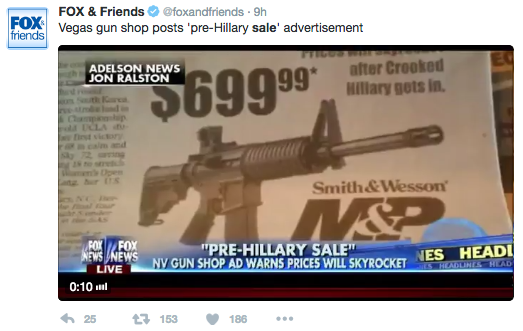 Gun sales have soared under the Obama administration due to his anti-gun policies and it appears history is bound to repeat itself if Clinton is elected. Firearm sales boomed after Obama was elected in 2008 and the numbers soared once again in 2012 after his reelection.